September 2015 | Florida Law Advisers, P.A. Florida is a “no fault” divorce state, which means that you do not have to prove one party is at fault for the marriage troubles. For example, a spouse does not have to provide any evidence of adultery or domestic violence to obtain a divorce in Florida. Additionally, both spouses do not have to reside in Florida, you can file for divorce in Florida when spouse is out of state. Generally, there are only three requirements to be eligible to file for divorce in Florida. For more information about eligibility for divorce in Florida contact a divorce lawyer in Tampa. This article is general in nature and not intended to be legal advice for any particular case or set of circumstances. The first requirement to file for divorce in Florida is to prove that at least one spouse has been a Florida resident for at least the six-months immediately preceding the filing of the divorce petition. It is important to note, Florida divorce law does not prevent a case for divorce in Florida when spouse is out of state. Establishing residency is typically a straightforward process that is easily accomplished. The resident spouse can prove their residence by either providing a valid Florida driver’s license, Florida ID, or Florida voter registration card. If neither of these documents are available, the spouse may be able to satisfy the residency requirement by providing an affidavit or testimony from a corroborating witness. Again, only one spouse will need to prove residency for divorce in Florida when spouse is out of state. Residing in Florida for 6 months gives the state jurisdiction (authority) over the subject matter of the case. See Florida Divorce Law 61.021. However, it does not necessarily give Florida jurisdiction over the people involved in the case. For instance, if a wife living in New York relocates to Florida seeking a divorce, Florida may not have jurisdiction over the husband even if the wife lived in Florida for the 6 months preceding the filing of the divorce petition. Without jurisdiction over the husband Florida cannot require him to pay alimony or distribute any marital assets in the divorce case. Satisfying the residency requirement for divorce in Florida when one spouse is out of state only gives Florida the authority to grant the divorce, it does not give Florida authority over all the people involved in the case. Jurisdiction can be a confusing part of Florida’s divorce law, if you need assistance contact a Tampa divorce lawyer for counsel. The spouse living outside of Florida waives his/ her right to contest jurisdiction. For instance, if the spouse responds to the divorce petition without raising the issue of jurisdiction in the initial response the spouse will subject himself/ herself to the jurisdiction of the court automatically and cannot challenge jurisdiction at a later time. The second requirement to be eligible for a divorce in Florida is for the spouse seeking the divorce to testify that the marriage is irretrievably broken. In other words, the marriage cannot be saved by marriage counseling or any other means. Unlike other states, Florida has no requirement to prove fault. For example, a divorce attorney does not need to provide evidence that adultery or violence caused the marriage to be irretrievably broken. Fault may be used to argue for alimony payments; however, it is not necessary to file a divorce petition. For instance, adultery may affect the property distribution and alimony award, but is irrelevant to be eligible to file for divorce in Florida. The requirements for filing divorce are fairly straightforward; however, divorce proceedings can require a thorough knowledge of Florida divorce law. Often, the two parties will argue over property distribution, child custody, and alimony payments. You should have an experienced Tampa divorce attorney assisting you with these complex matters. If you are contemplating filing for divorce and are concerned about keeping your fair share of the assets call us today to speak with a divorce lawyer at our firm. Our divorce lawyers have years of experience helping people with their divorce and child custody disputes. Every divorce is different, and our vast experience allows us to cater our services to each client’s individual needs. Whether a couple mutually agrees to the terms of a divorce or are engaged in a fierce battle for their property and child custody rights, Florida Law Advisers, P.A. can help. We are available 24 hours a day, 7 days a week and offer a free initial consultation. Call us today at 800 990 7763 to speak with a Tampa divorce attorney or schedule a free consultation. Under Florida foreclosure law, all mortgage foreclosure cases are to be conducted in a court of equity. Courts of equity are authorized to apply principles of equity (fairness), as opposed to just a legal Florida foreclosure defense. Therefore, the judge can consider acts by the bank that would render the foreclosure unfair. To lean more about the possible defenses to foreclosure contact a Tampa foreclosure defense lawyer for assistance. 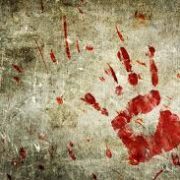 One of many potential ways to save a home is with the Florida foreclosure defense of unclean hands. Florida case law stands for the proposition that a foreclosure action must be denied if the mortgage company comes to the court with unclean hands. See Federal Savings and Loan v. Robert Smith. Further, when there are substantial facts in a case that establish the mortgage company has tortuously interfered with enforcing the loan the bank’s demand for foreclosure should be denied. Homeowners should be cautious when trying to prevent a foreclosure based on an unclean hands defense. Proving unclean hands can be difficult without the requisite legal training and experience. If you think your lender has come to the court with unclean hands you should contact a Florida foreclosure defense attorney in Tampa for assistance. In order to establish unclean hands as a Florida foreclosure defense, the homeowner must show either a fraudulent or illegal transaction or any unrighteous, unconscious, or oppressive conduct by the mortgage company. See Epstein v. Epstein. Moreover, to sustain a defense of unclean hands, the homeowner must be able to show a detriment to them by action of the lender, not just some alleged improper conduct. 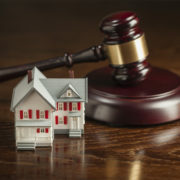 Additionally, for unclean hands to be a defense to foreclosure the conduct in question must be connected with the failure to make mortgage payments. See Marin v. Seven of Five Ltd.
Florida foreclosure cases are conducted without a jury. The homeowner will have to persuade the judge that the defense of Florida foreclosure defense of unclean hands is valid and sufficient to warrant a judgment in their favor. Judges are typically a lot less likely to be persuaded by principles of fairness than a jury would be. You should seek the counsel of a foreclosure defense attorney in Tampa for assistance with mounting a strong legal defense. If your mortgage company is threatening a foreclosure contact Florida Law Advisers to speak with a Florida foreclosure defense lawyer in Tampa. The foreclosure defense attorneys at our firm have years of experienced in this area and provide aggressive legal representation. Whether you want to keep your home and prevent foreclosure or walk away without being responsible for any of the debt, Florida Law Advisers, P.A. can help. Our initial consultation is free and we offer flexible payment options to all of our clients. To speak with a Tampa foreclosure defense lawyer call us today at 800 990 7763. Florida is a judicial foreclosure state, which means a party seeking to foreclose a home must go to court and receive approval from a judge before a home can be foreclosed. See Florida Statute 45.031. During the court process, the homeowner will have an opportunity to raise defenses and challenge the foreclosure. Therefore, if you are being threatened with foreclosure you should contact an experienced Tampa foreclosure defense attorney right away. A skilled Tampa foreclosure defense attorney may be able to successfully raises defenses to the foreclosure and get the case thrown out of court. One possible foreclosure defense is that the bank failed to fulfill all of the conditions precedent to foreclosure. A condition precedent is an event which must occur before performance under a contract becomes due. A common condition precedent in foreclosure cases is the bank’s requirement to send the homeowner notice of the default. Notice of the default is just one example, there may be many other conditions precedent the bank must comply with prior to filing a foreclosure case in court. For more information on the possible conditions precedent your lender may be required to fulfill contact a foreclosure defense law firm in Tampa for assistance. Lender shall give notice to Borrower prior to acceleration following Borrower’s breach of any covenant or agreement in this Security Instrument. The notice shall specify: (a) the default; (b) the action required to cure the default; (c) a date, not less than 30 days from the date the notice is given to Borrower, by which the default must be cured; and (d) that failure to cure the default on or before the date specified in the notice may result in acceleration of the sums secured by this Security Instrument, foreclosure by judicial proceeding and sale of the Property. The notice shall further inform Borrower of the right to reinstate after acceleration and the right to assert in the foreclosure proceeding the non-existence of a default or any other defense of Borrower to acceleration and foreclosure. As like most mortgages, the sample notice of default clause above is from a mortgage that contains an acceleration clause. Acceleration refers to the bank demanding the full amount of the mortgage, not just the missed monthly payments. If the loan does not have an acceleration clause the lender can only demand payment of the amounts past due, not the full amount of the loan. If your mortgage company is threatening you with foreclosure contact Florida Law Advisers to speak with a Tampa foreclosure defense lawyer. Homeowners have many foreclosure defenses available, and we want to make sure our clients choose the best strategic plan for their family. Whether you want to keep your home and prevent foreclosure or walk away from your home without being responsible for any of the debt, Florida Law Advisers, P.A. can help. Our initial consultation is free and we offer flexible payment options to all of our clients. To speak with a foreclosure defense lawyer in Tampa call us today at 800 990 7763.